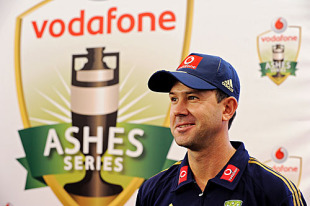 Ricky Ponting has warned England they will find it “hard to come to grips” with the Gabba pitch despite their extensive preparation for the Ashes. The tourists will have had three warm-up matches by the time they reach Brisbane for the first Test on November 25, but Ponting does not believe it will help them deal with the pace and bounce of the surface. “With just a normal Brisbane wicket, visiting teams find it hard to come to terms with just how different it is up there,” Ponting said in the Australian. England played in Perth over the weekend and start a match in Adelaide on Thursday, before their final warm-up in Hobart next week.